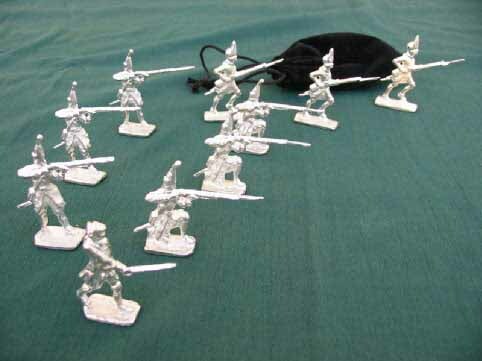 Soldiers - cast in fine, lead-free pewter. 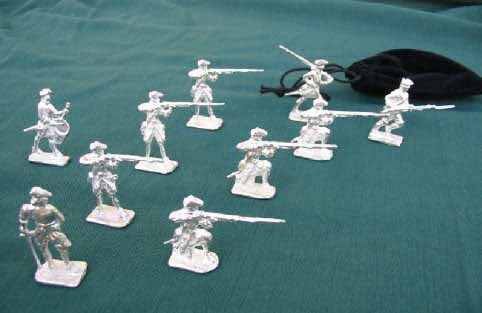 Available as cast or painted. Approximately 1 3/4 inches tall. 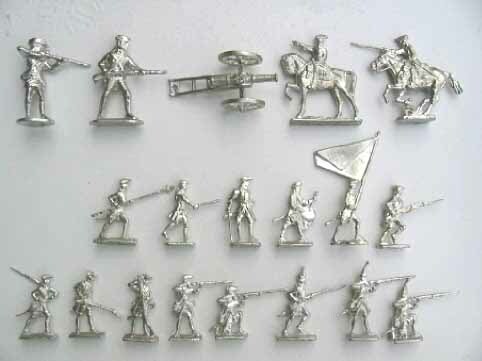 Bottom Row: Musket Shouldered, Charging, Ramming, Standing, Kneeling, Grenadier Standing, Grenadier Kneeling. $2 each.